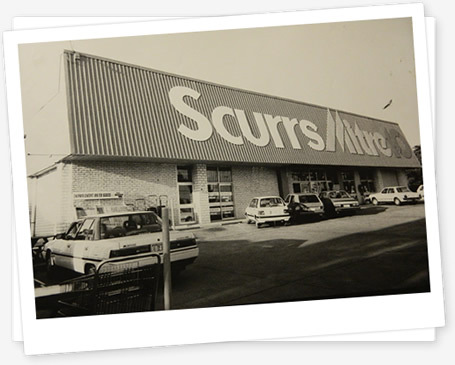 Originally started by Don Brandon & Co in 1979, the store was bought by Arthur Scurr in June 1984 and become the local institution – Scurr Bros Mitre 10 Beenleigh. The store was expanded in 1992 and underwent a major renovation in 1994. The store was purchased in 1995 by the Woodman family who then renovated further, becoming a Mitre 10 Home & Trade store in the late 1990’s. The present Mitre 10 Mega warehouse site was opened in Sept 2004. With over 8600 m2 of space and more than 30,000 individual product lines, you will find everything you need for your home project. The Woodman Group started operating sawmills in Mackay in 1939, acquiring the first hardware store in 1952 which was then expanded into six more stores in Mackay and the Whitsundays region. We joined the Mitre 10 family in the early 1970’s, purchasing Scurr Bros at Mt Gravatt and Beenleigh in 1995. The business is still family owned by Garnie and sons David and Kerry Woodman who manage the stores. David’s son Brendan makes the third generation of the Woodman family actively involved in the company. We are committed to providing our customers with a world-class shopping experience. You will find everything you need to finish your home project, along with personalised service and expert knowledge. Many of our staff are qualified tradespeople and have been in the industry for many years. They have the practical knowledge to help you get the job done! Not only do we stock the usual timber and hardware, you will also find the latest kitchen and bathroom trends, designer décor, floor coverings, lifestyle furniture, garden plants, outdoor styling and much more. We source quality products from around the globe as well as major, trusted brands. Get inspiration from our product displays and colour selection centre all designed to make it easy for you to find what you need and make the best choice for your job. From a nail to a new kitchen – everything you need is here. The Mitre 10 group is one of Australia’s most trusted names, supporting privately owned retailers and has made a significant contribution to state economies and local communities by becoming one of the largest small business employers in the country. The individually owned businesses in the Mitre 10 family means Mitre 10 keep it local!